is an independent medical practice, founded in 1991, offering comprehensive fine needle aspiration biopsy services. OCC is one of the first independent FNA practices established in the United States. Fine needle aspiration, also called FNA, is a non-surgical procedure by which a sample of tissue is obtained by placing a very fine gauge needle (smaller in diameter than the needle used for drawing blood) into the lump for a few seconds to draw out cells for examination under the microscope. The procedure is fast, convenient, safe and well-tolerated by patients. No anesthesia or hospitalization is required. Patients can return to work immediately after the FNA biopsy. At OCC, we perform over 2,500 Fine-Needle Aspiration (FNA) biopsies each year. Patients arrive at OCC from all over northeast Tennessee and western North Carolina, as well as surrounding states including Virginia, Kentucky, North Carolina, Georgia, and South Carolina. Full work-up of the FNA specimen is performed at OCC. Special studies such as immunocytochemical stains, flow cytometry and mycobacterial, fungal and bacterial cultures are obtained when needed. In addition to aspiration biopsy of palpable masses from virtually any palpable body site, ultrasound guided aspiration biopsies of non-palpable lesions are also routinely performed at OCC. At OCC, FNA biopsies are performed and interpreted by three physicians, all of whom are Board Certified by the American Board of Pathology, have added board certification in Cytopathology and have the College of American Pathologists Certificate for Special Expertise in Ultrasound Guided FNA. Dr. Rollins, founding member of OCC, was joined by Dr. Janet Stastny in 1999 and Dr. Yasmin Elshenawy in 2013. The Outpatient Cytopathology Center is accredited by the College of American Pathologists and is a CLIA accredited laboratory. SUSAN D. ROLLINS, M.D., FCAP, F.I.A.C. is a physician and is Board Certified by the American Board of Pathology in Cytopathology, and in Anatomic and Clinical Pathology. Additionally, in 1994 she was inducted as a Fellow in the International Academy of Cytology. She began her training under G. Barry Schumann, M.D. at the University of Utah School of Medicine, subsequently completed a fellowship in Cytopathology under Carlos Bedrossian, M.D. at St. Louis University School of Medicine, and has completed a fellowship in Clinical Cytopathology under Torsten Lowhagen, M.D. at the Karolinska Hospital in Stockholm, Sweden. 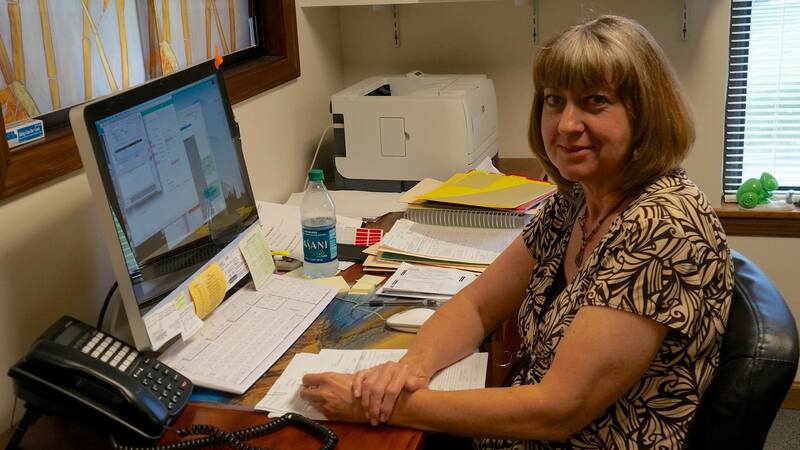 The author of numerous articles in the field of cytopathology, Dr. Rollins also serves as a faculty member for cytopathology courses taught on a national level and has an adjunct faculty appointment in the East Tennessee State University pathology department. She was awarded the CAP Excellence in Teaching Award in 2010 and received the Papanicolaou Society Interventional Cytopathologist Award in 2016. In 2018, a book she co-authored titled Ultrasound Features of Superficial and Palpable Masses was published. 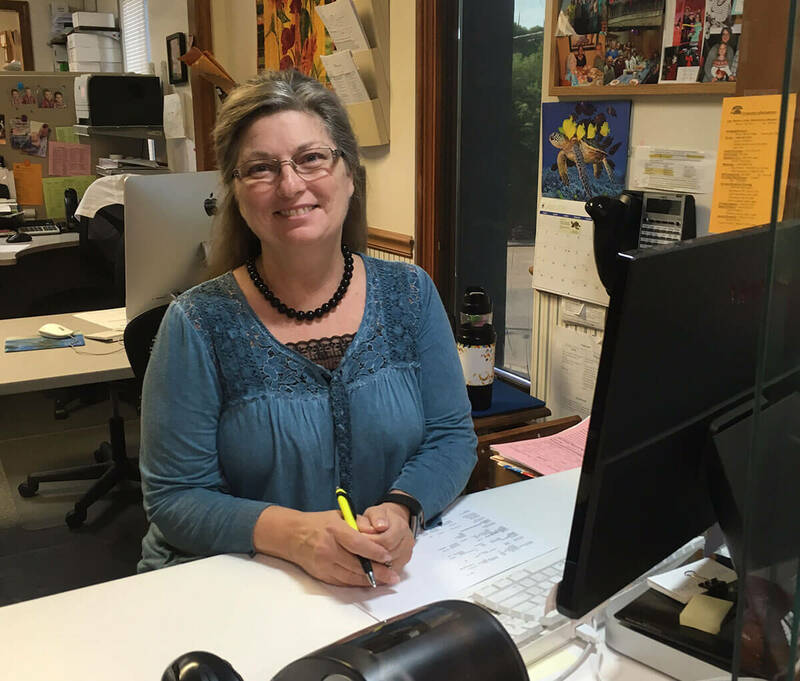 Her interests include running, biking, skiing, music and gardening. 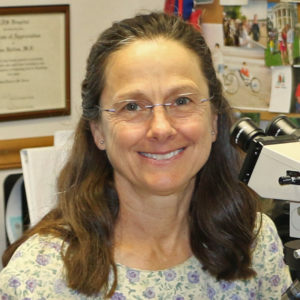 JANET F. STASTNY, D.O., FCAP is a physician and is Board Certified by the American Board of Pathology in Cytopathology, and in Anatomic Pathology. She completed a pathology residency at the University of Cincinnati and subsequently a one-year fellowship in cytopathology and surgical pathology at the Virginia Commonwealth University / Medical College of Virginia. She was on the faculty at the University for 7 years specializing in gynecologic pathology and cytopathology. 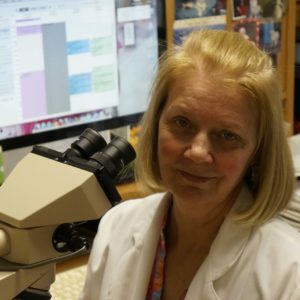 She has written numerous articles in the field of cytopathology and gynecologic pathology and has taught cytopathology courses at national meetings. Dr. Stastny is an adjunct faculty member in the ETSU pathology department. Her interests include training therapy dogs, participating in a variety of community service activities and gardening. 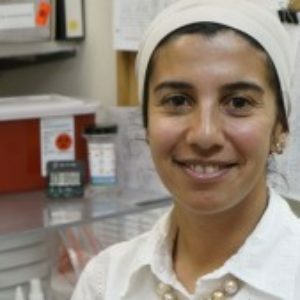 YASMIN ELSHENAWY, M.D., FCAP, ECNU is a physician and is Board Certified by the American Board of Pathology in Cytopathology, and in Anatomic and Clinical Pathology. She completed her pathology residency training at East Tennessee State University, followed by a one year fellowship in cytopathology at Medical University of South Carolina. Prior to her pathology residency, she completed a one-year fellowship in the infectious disease pathology branch at the Centers of Disease Control (CDC). She also achieved the endocrine certification in neck ultrasound (ECNU) and is the first pathologist in TN to be ECNU certified. Her special interests are thyroid, genitourinary and pancreatic pathology. She is an active committee member in the College of American Pathology. Dr. Elshenawy has published articles in field pathology and also serves as an adjunct faculty member for the ETSU pathology department. When not working, she enjoys spending time outdoors with her family.